We asked one of our fave DJs - DJ SariGold - to curate a playlist for our most recent GroupOut afterwork mixer. And it's easily become theee go-to vibe for all our jam sessions. With 42 songs, Guest List, is now yours to enjoy on apple music ---> Listen HERE! Always looking for cool spots to hang and meet new people in the city? Join our mailing list today to get access to our guest list for exclusive events in NYC! Posted on November 13, 2017 by GroupOut Team. My DIY wedding details and money-saving tricks! Posted on November 4, 2017 by Leanna Wilson and tagged wedding wedding planning diy diy bride event details. We get it. You’ve slacked on NYE plans in a subconscious attempt to avoid the often most overrated night of the year. Or maybe you’ve decided consciously to boycott all things 2016 by staying in. Makes total sense to us. But like any true New Yorker, we know you still want to know your options so you can make a game time decision if needed. So here’s a list from our Concierge team of their top 5 last minute options to ring in the New Year, based on a few of their fave go-to spots from this year. Adoro Lei - "Trendy Downtown Gem"
Okay, maybe we’re biased. But only because Adoro Lei happens to be a unique balance of so many things we love – trendy, good energy, great food, awesome service, intimate atmosphere. And none of the things we don’t – copious crowds, pretentious service, and overpriced everything. Their NYE party should be no different. Details: Premium open bar, champagne toast, food starting at 8PM for $110pp. Email info@adorolei.com for reservations. If you’re definitely over the high-priced NYE open bar scene, that doesn’t mean your only alternative is that sticky-floored, why-did-i-dress-up-for-this house party. 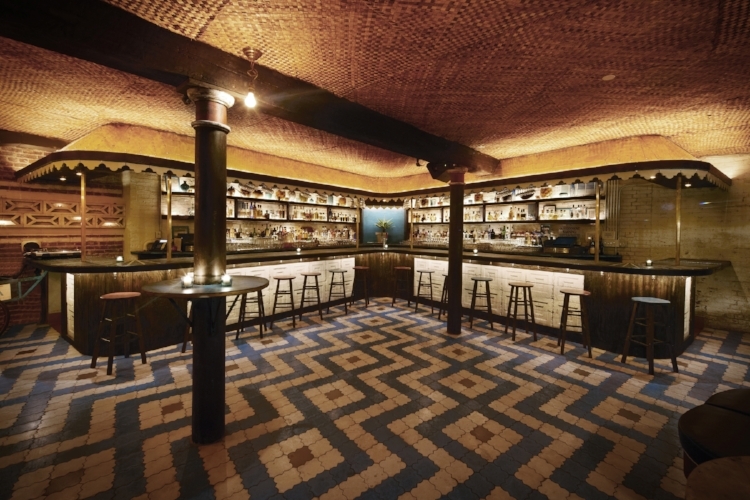 Enter Pulqueria’s easygoing speakeasy vibes sans the hefty price tag. Fun times guaranteed. Details: Call 212.227.3099 to make a reservation. Pergola - "Off the Beaten Path"
So you didn’t plan but that doesn’t mean you can’t go all out. Pergola’s Gatsby-themed NYE party will have you dressed to the nines, channeling Leo’s Wolf of Wall Street dance moves, and toasting it up to 2017. 2016 who? Details: Access to all floors, premium open bar from 9:00PM - 1:00AM (cash bar after) and heavy passed dors d'oeuvres - $125. Rebelle - "Jazz + Schnazz"
You’ve had your fair share of wild nights. It’s finally time to avoid the drunken crowds and class it up. Ring in the new year with live jazz music and delicious French cuisine in one of the most beautiful spaces in NYC at Rebelle. Extra bonus, no prix fixe required. Vandal - "Go Hard or Go Home"
Ok, It's game time and you've decided it's go hard or stay home. Well, what would a Top 5 be if we didn't include the top nightlife scene in NYC this year? On the higher-end pricewise, but you're guaranteed to have a premium night out at Vandal. Think beautiful people, delectable bites, a flowing open bar and sounds that'll keep you moving all. night. long. You'll definitely want to dress to impress. Posted on December 30, 2016 by Leanna Wilson and filed under NYE and tagged nye holiday party nyc.